Small businesses often can’t compete with the salaries or benefits that larger businesses or government employers can provide. But they can make up a lot of ground by offering perks to make working at their small business just as or even more attractive than working at some big company. To attract and retain the talented employees you need and develop a reputation as a great place to work, here are perks that your small business can afford. Sometimes employees need time off with super short notice. Or come in to work upset over things that are happening in their personal lives. 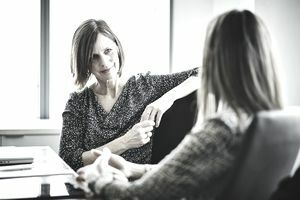 Small business owners and other staff can make positive differences in the lives of employees experiencing problems, sometimes just by listening and sometimes by providing active support. And that sense of “family” can really bind employees to your company. For many employees, this is the most attractive perk that any company can offer as flexible work gives them more of the work-life balance they need. And as a small business, you may be in the position to offer the most flexible work arrangements of anyone. Besides offering employees tailored work schedules, such as four day weeks or being able to leave early each day to pick up children in daycare, you may also be able to offer work from home or telecommuting options. It’s one thing to have a job. It’s entirely another to be, as Gene Marks describes it, a member of a team trying to change the world against the evil Goliaths. Feeling that you’re doing something important that might make a difference to the world at large is a powerful motivator for many people, so if your small business is able to offer this, it’s a huge leg up in the talent competition. Talented people are often ambitious and want to be able to learn the new skills that will further their careers. If your small business can’t offer in-house training and development programs, you can still offer the training your employees want by reimbursing some or all of the costs for them to take appropriate courses or workshops elsewhere. Volunteering has many rewards and many people want to do it, but can’t fit as much of it into their lives as they’d like to because of work. So giving employees x number of hours per week or month to volunteer can be a much appreciated perk—and creating happier employees while helping your community is definitely a win-win. Big organizations often have Casual Fridays. But as a small business, you could offer the opportunity to dress more casually 365 days a year! Managers especially might appreciate the chance to shuck the formal duds. Susan Heathfield offers a Business Casual Dress Code that you may want to implement. Is your small business located in a place where employees are able to commute to your premises by bus, train or subway? If so, transit passes can be a much appreciated (and inexpensive) perk. Many people love specialty coffees, so consider buying a decent quality coffee machine that can also make cappuccinos, lattes, etc. Once a month or on special occasions have the employees decide on lunch and bring in pizzas, chinese food, or whatever wins the vote. Employees of all ages like to stay fit. Don’t have an in-house fitness centre or pool? Then offer your employees memberships at the local fitness centre instead, or cover the cost of individual fitness classes for them. Many small businesses have also had a lot of success fielding their own teams. Softball? Bowling? Find out what your employees would like to play, set up a team, and let the fun begin. Often the most appreciated perks are not the flashiest or the most expensive. Instead, they’re the perks that show that management appreciates an employee as a person. Mary Cantando’s experience as a manager is inspirational. She spent the time thinking about her employees and choosing employees each month that she was going to do something personal for that month. Normally that “something personal” was something as simple as taking an employee out to lunch or buying someone tickets to a game. But the results were amazing. “In a highly competitive industry, I didn’t lose a single A player in over four years, because I had a system for taking care of [employees] that went above and beyond the standard employee reward program,” Cantando says. Most experts agree that perks overall play an important role in the relationship between employee and company, especially in recessionary times. “Perks hold people to an organization,” says John Challenger, CEO of Challenger, Gray & Christmas, a Chicago-based global outplacement firm. “If an employee likes his or her boss and the work is challenging, and if the company has a set of perks that are adapted to what that person needs, then it’s hard for the employee to leave. He or she may not” be able to replicate that situation in another organization. A Recession for Perks? What Companies Offer and What Employees Want (Wharton University of Pennsylvania). That’s the situation you want your employees to be in—and perking up your perks can help you make that happen.